Ramaphosa's Job Pact: What's hot and what's not? President Cyril Ramaphosa on Thursday launched a R1.4bn small business fund aimed at driving the growth of small black-owned enterprises. The SA SME Fund, supported by larger corporates, has been hailed as a game changer, and would afford emerging businesses opportunities to scale up through enhanced access to the larger value chain of the economy. "With this fund, small and medium enterprises with growth potential would be identified and put through partnerships with our members, who would offer them support and access to new markets," said Adrian Gore, one of the fund's directors, at its launch in Johannesburg. The fund is supported by executives of the country’s largest corporates, who are members of Business Leadership South Africa (BLSA). "The fund is about creating the growth for black businesses and building them into companies that would contribute to employment, which is the biggest problem facing the country," Gore said. A total of R725m has so far been committed to the fund. Any enterprise that is black-owned and has a turnover not exceeding R50m per annum would have access to the fund. Ramaphosa said he endorsed the initiative in the spirit of Thuma Mina ('send me'), a reference to Hugh Masekela's song of the same title, which Ramaphosa used after assuming the presidency in a bid to promote good citizenry. He said government would later this year launch a second investment summit, following the first gathering in 2018, which drew R290bn in investment commitment into the economy over the next five to 10 years. According to BLSA, the fund is designed to achieve sustainable linkages and a networking platform, with the aim of integrating black suppliers in the value chain of corporate South Africa. 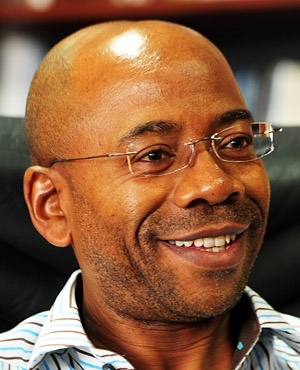 "This initiative ties in very well with the commitments made by our members during the Jobs Summit and the Investment Summit last year," said BLSA CEO Bonang Mohale. BLSA member companies will set aside supply chain budgets, good and services to be provided by black suppliers. "Large corporates cannot grow alone while small industries suffer on the sidelines. We need to create synergies that would lead to a creation of sustainable black-owned companies, which have for the longest of time been battling challenges associated with access to larger markets," said Mohale. According to the World Bank, SMEs play a major role in most economies. Formal SMEs contribute up to 60% of total employment and up to 40% of national income (GDP) in emerging economies, but access to finance is a key constraint to their growth, the World Bank says.